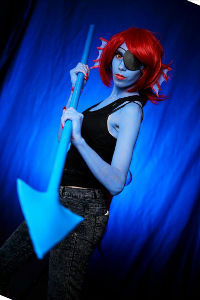 Daily Cosplay .com - Fantastic costumes and characters from anime, manga, gaming, fantasy, and science fiction. Made in Ukraine, living in Tokyo. In cosplay I prefer rare characters and fandoms, but sometimes making poplular characters if I like them, I'm open for cosplay suggestions too. Creating interesting costumes, playing fave characters, visiting festivals and meet a lot of new interesting people all over the world - I really love it!